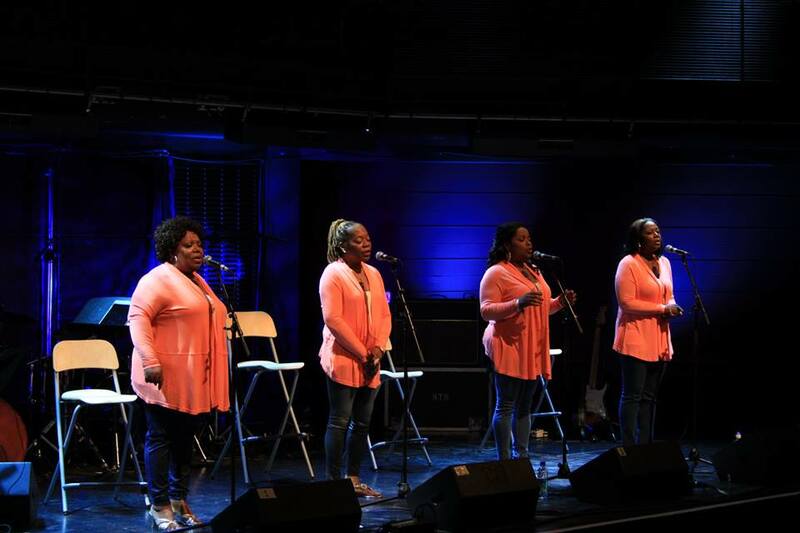 bebop spoken here: Summertyne Americana: The McCrary Sisters/Cedric Burnside @ Sage Gateshead - July 19. The McClary girls came on stage and, with a great band behind them, I made to write WOW backwards. This was when my pen exploded! A lady across the aisle caught part of it, the writing bit shot elsewhere and, for all I know, the tiny spring is still in orbit! However, now that I'm home on the range, I realise I didn't need a pen at all because what those gals were putting down defied mere written superlatives! Imagine, say, the Boswell Sisters meeting the Supremes at the Holy Tabernacle Church and you've got the picture. Put simply, they were sensational! With the lead vocals changing from number to number it was impossible to single out one above the rest and the tight harmonies made the overall sound something else. Standing ovation. 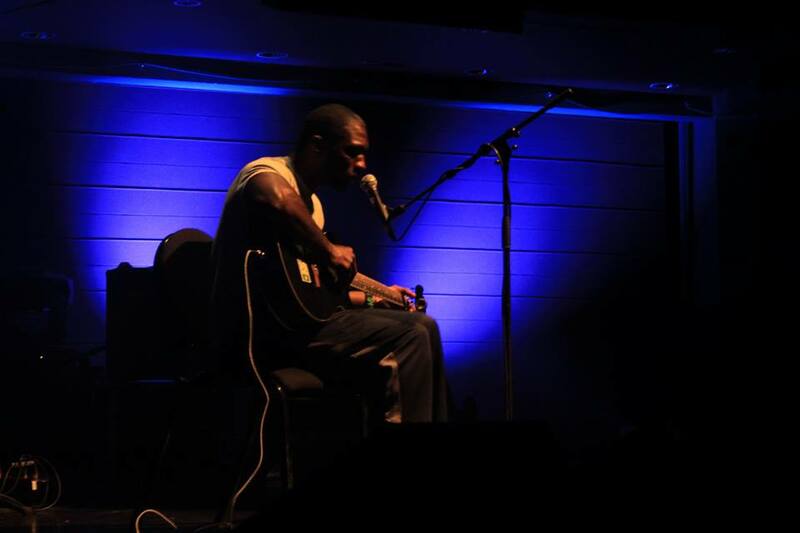 Cedric Burnside (gtr/vcl/dms); Trenton Ayers (gtr). The show began with some country blues from Burnside singing solo and 'companying himself on guitar. Long time musical associate Trenton Ayers joined him, Cedric vacated guitar for drum kit and the duo moved towards Chicago and Detroit taking the crowd with them on a roller coaster ride. The drums were given a workout, the guitar thrashed, the audience roared. The tempos varied, the words were different, the sound the same. Jack Daniels set to music.